There's hardly anything that anyone would want to change about The Nightmare Before Christmas. Although director Henry Selick had previously revealed they had an interesting plan involving producer Tim Burton's severed head, everything about the film seems perfect. But is it finally time to return to Halloweentown? A new report suggests that Disney is planning a sequel to the stop-animation classic. 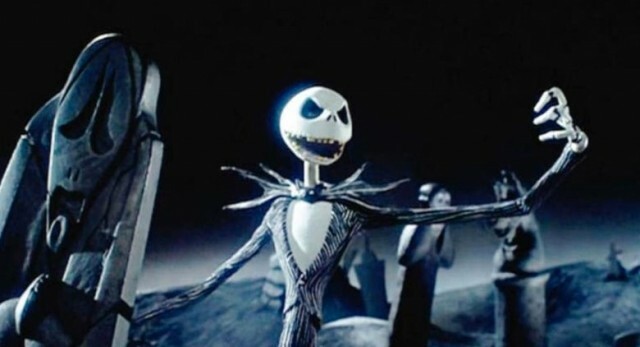 According to Moviehole, a source has confirmed that Disney is currently discussing to “do something with Nightmare Before Christmas – probably a sequel but live-action possible.” Although we can all rest easy that there will be no attempt to replicate the original movie, there is something rather unsettling about a live-action Jack Skellington. Disney's plans with a successful classic shouldn't be much of a surprise. After all, we're getting three live-action adaptions of Disney animations this year. Although Dumbo, Aladdin, and The Lion King will all be reboots of the animated flicks, a Nightmare Before Christmas remake might not work as well as the other three. Perhaps the sequel will finally reveal what happened to Halloweentown after Sandy Claws' visit or we'll get to see more of Lock, Shock, and Barrel's antics. Selick has previously expressed regret about cutting an awesome scene that would have been an amazing addition to the film. According to the director, the pumpkin that the vampires play with in the final sequence was originally supposed to be Burton's severed head. However, he decided to scrap it because he was concerned that the Edward Scissorhands director "might not like it." The Nightmare Before Christmas celebrated its 25th anniversary last year.